There is only one way to understand the local Seattle real estate market: visit the homes that are currently for sale. I look at numerous properties every week, and sometimes I come across ones that are either, unusual, rare, special, cool or they are an exceptional value. On occasion, I will find a house that incorporates several of these factors. From now on you can count on me to use this blog space to inform you of the best buys I discover as I tour the local real estate market. If you would like more information about a particular property email me, and I will send you a link to the complete listing. Charming home in desirable Haller Lake is sited on a spacious lot w/ mature landscaping, garden beds, lawn & room to play! Move in now & watch it blossom & bloom. Fresh paint, refinished oak floors, new carpet & a remodeled bathroom w/ double sinks. Spacious bedrooms w/ walk in closets, large, thermopane picture windows, classic knotty pine kitchen, dining room, brick fireplace & detached 2 car garage w/ room for a shop. Come see this urban retreat today. 5 minutes to Northgate, 15 to downtown. Freshly remodeled home is move in ready! The kitchen features cork floors, pantry, quartz counter tops & S/S appliances. Completely updated main floor bathrooms, including a master ensuite. Hardwood floors, clear fir, solid core interior doors, fireplace, new roof, insulated attic, new chimney, fenced back yard & a back yard deck. In addition to the 3 bedrooms, there are 4 bonus rooms- imagine the possibilities! Walk to super hip & urban downtown Columbia City, the light rail & soon the new PCC. Custom built Craftsman bungalow. Authentically designed to celebrate the Arts & Crafts movement of the early 20th century, carefully hand crafted using only the finest quality materials. Oriented to capture the expansive views of bay & mountains, while nestled amidst gardens & a small orchard. Experience the natural flow of interior to exterior spaces. Wonderfully open & naturally light spaces, high tech wiring & systems, detached 3 car heated garage w/ unfinished studio. A true masterpiece! This just may be the coolest house I have ever listed. All the charm and character of a classic bungalow with all the modern amenities of a new house. 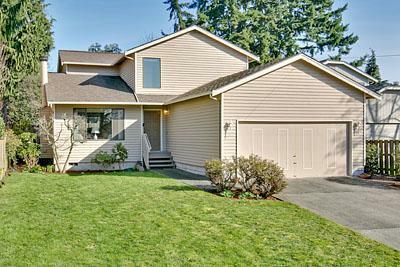 Lovely home in sought after Microsoft area. Filled with natural light. Wide entry leads to living room w/vaulted ceilings & gas fireplace, formal dining room, kitchen w/nook & skylights. Master bed w/full bath & walk-in closet. Beautiful backyard w/entertainment size deck off kitchen, patio off family room, mature plantings, raised gardens & level backyard. 2 car garage & storage shed. Move in condition! Walk to Audubon Elem, stroll to Idylwood Pk, a quiet location in a great neighborhood. Here’s a great chance to buy a wonderful house in a super neighborhood! Just a hop & a skip to the Microsoft campus. This stunning rambler is better than new. Located on a quiet cul de sac & surrounded by a greenbelt that affords privacy & a beautiful sylvan outlook. Elegant formal living & dining rooms, a dream kitchen featuring large center island, granite counter tops, walk in pantry, gas cooking that is open to the super comfy family room & dining nook, spacious master suite w/ 5 piece bathroom & walk in closet, office w/ French doors, the list goes on! A fine place to call home! Come see for yourself! This is a fabulous house that was built in 2007, but still feels brand new. Close to Mill Creek and easy 1 level living. Colorful front gardens lead to a covered porch & one step entry. Inside are oak floors, a big picture window & sandstone frplc. ; remodeled, tiled baths, one w/a heated floor; extensively remodeled kitchen w/maple cabinets, stone backsplash & tile floors opens up to a great room addition w/vaulted wood paneled ceiling & state of the art fireplace w/stone front & wood mantle. Private deck & big level back yard w/established trees on perimeter & raised beds. Tons of storage, on a quiet cul de sac! Situated on a quiet cul-de-sac, this wonderful home, solidly built in 1953 is clad in cedar with a big covered front porch and wide wood eaves has been greatly improved and expanded. 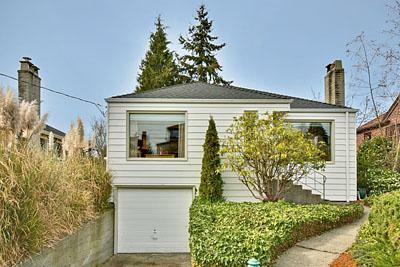 Super convenient & popular Ballard location for this triplex. Great access to bus lines, neighborhood restaurants & shopping. Rare “owner”unit that has big rooms, master suite with walk in closet, large kitchen, skylights, formal dining room, fireplace & a deck. Each unit has its own private yard, garage, lots of closets, washer/dryer & dishwasher. Thermo pane windows. Upside rent potential. Limited access times, contact your broker for times. Please do not disturb tenants or walk on property. 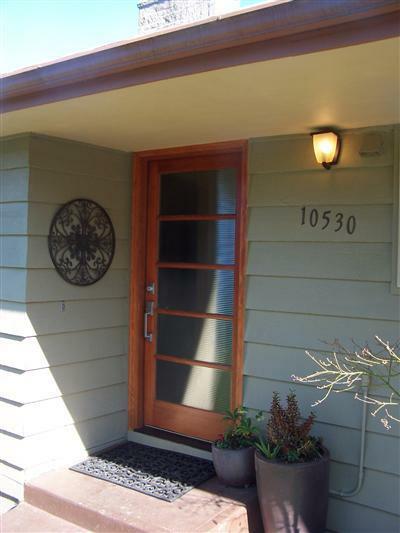 A unique opportunity to buy an investment property in ever popular Ballard. Great “owner” unit. Waterfront Elegance-Timeless Design. A home that offers grand yet human scale spaces, w/room for extended family & pursuit of myriad interests indoors & out. Every floor bathed in fresh natural light w/ a lake & mountain view that consistently inspire. Wonderful kitchen, extraordinary master suite commands entire top floor. A second BR suite w/spa; convenient laundry on BR level. Huge workshop/storage. State of the art dock+sauna. Burke Gilman at your front door! Quintessential Seattle living! This is a home that is a wonderful celebration of its setting, with light and air in abundance on all sides. Every floor is bathed in fresh natural light with lake and mountain views that never cease to inspire. A home that offers grand yet human scale spaces, with room for extended family and pursuit of myriad interests indoors and out. This Cape Cod has had many updates to the plumbing & electrical systems. The large picture windows capture a view of the sound and Olympic Mountains and allow lots of natural light to fill the rooms. Enjoy the fun backyard that includes a patio and a gazebo. 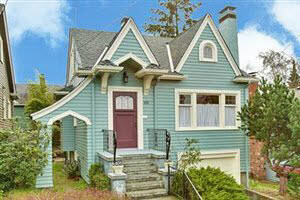 Conveniently located to the Admiral business district, Alki Beach and public transportation. Give me a call; I would love to show it to you. A “Mid- Century Classic” that has been thoughtfully and tastefully updated. Features include new bathrooms, gleaming hardwood floors, large deck, corner lot, detached studio, 2 fireplace and 3 bedrooms on the main floor. This is the most house I have seen for the money in a few weeks! I admire the quality of the improvements and it is a quiet street with great access to all city amenities. I would love to sell it! Special Features:Unique end-unit townhome feels like a house! Enter into the lg living rm w/gorgeous oak flrs that carry light through the formal dining rm – great for entertaining. Eat-in kitchen w/pantry. West-facing deck for herbs & container gardening. Full size laundry & a 1/2 bath on the main. 3 bedrooms & 1 full bath up! New carpet, marmoleum, paint. Basement has a soundproofed music studio off & an easy-to-park 2-car attached garage. Loads of storage. Buses everywhere & easy access to downtown. 7-unit complex. This is a good value in an ideal location! Special Features: Affordable condo in great condition. Enjoy the security offered in a 2nd floor unit w/ no stairs for access! Formal entry, coat closet, good size living room w/ wood burning fireplace & adjacent dining area & open kitchen. Spacious bedroom & closet. Deck with a pleasant outlook & storage. Rare full size utility room. 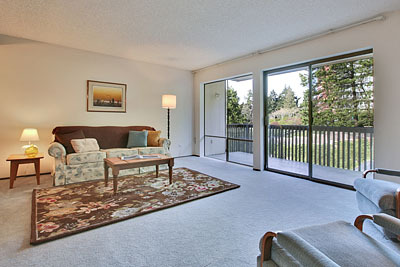 Located on the quiet side of the complex yet conveniently located to many Kirkland amenities. Special Features: Light filled, impeccably maintained one owner home! A formal entry welcomes & leads you to a sunny living room with vaulted ceiling & a wood burning fireplace. A good size dining room faces the large deck & mature plantings in the generous fenced backyard. The kitchen offers an island, oak cabinets, pantry & adjacent family room area. Convenient circular floor plan. The big master has walk-in closet, vanity and dressing room. Large 2 car garage, new gas furnace & newer roof. Special Features: *This classic Tudor is located in the desirable Phinney neighborhood offers the comfort of a residential neighborhood with the convenience of walkability, and with access to all city amenities, including dining, shopping and transportation. * Classic vintage style gives this house it’s character; leaded glass windows, coved ceilings, picture molding, a beautiful tile fireplace, arched doorways, gleaming hard wood floors, formal dining room & a charming breakfast nook. *The spacious master bedroom suite has a vaulted ceiling, ample closet space and a view of the Olympic Mountains and a private bathroom. The bathroom features a vaulted ceiling, skylight, 3 windows and a “rain shower” head. *A full basement, with tall ceilings offers great expansion potential. Finish off to gain a recreation/media room, home office and a bathroom. *Other features include gas cooking, mature landscaping, a patio and a brand new roof. 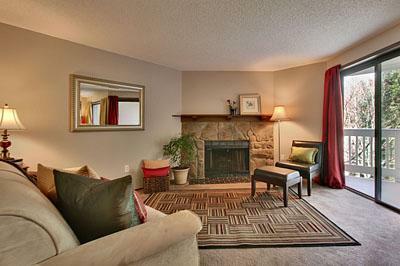 Affordable, updated Tudor in the Phinney neighborhood. Special Features: This classic Cape Cod has been thoughtfully updated with modern design features where you want them! The beautiful hardwood floors throughout the main floor have just been refinished. The walls freshly painted. There is a formal entry with coat closet and a formal dining room. The bedroom closets are cedar lined and well designed. Professionally designed and installed, the kitchen has granite counter tops, tile floors, a well designed pantry and plenty of storage. The main floor bathroom also features granite counter tops and a 2 headed walk in shower. Practical design, elegant style. Systemic updates include: earthquake retrofitting, furnace, roof and water heater (2005), & copper plumbing. The west facing yard is fully fenced, with plenty of garden space and lawn. There is a lovely brick patio. This is a friendly neighborhood offering easy access to all city amenities, including shopping, restaurants and major bus lines. Walk Score of 85. Nicely updated, great location & neighborhood. Special Features: This “Grandma’s” house has incredible potential: big rooms, well maintained, easy to move in and live as is and then update as you can and want. 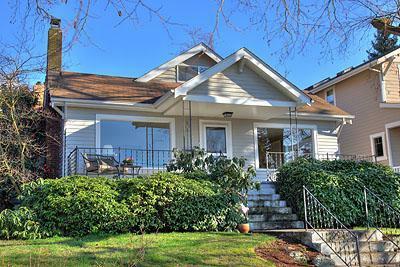 Located on “Green Grid” street, this house has a rocking chair frnt porch and a view of the Olympics. An excellent value for the size and location. It is the kind of “fixer” many want: clean and livable now. Special Features: Located on the shores of Bitter Lake, this condo is move in ready. Special Features:Light and open floor plan with new windows. All the systems have been updated, the kitchen and bathrooms are tastefully remodeled, gleaming hardwood floors. A lovely yard, too. This is a well built house that has had quality updates. It is a lot of house in superior condition for the price. An excellent value. Special Features:All the systems have been updated, the kitchen and bathrooms are tastefully remodeled, beautiful hardwood floors.